Smooth, lightfast, and permanent, with excellent pigment quality, color strength, and longevity, Wholesale Arts and Frames Acrylics offer an exceptional combination of quality and value. These high-viscosity acrylics are intermixable with other acrylics, and may be thinned with water or various mediums. From the jar or tube, both are equally thick and dry permanently insoluble. They're suitable for any acrylic technique or for simulating oil paint effects. Excellent quality and the best price make Wholesale arts and frames Acrylics a beautiful choice for students, professionals, and artists alike! Oil-based paints are highly regarded in the artist community as having the best quality. Many professionals will only use oil paints. They take a long time to dry, but the results are amazing. These paints can be blended, which is an added benefit when you are trying to achieve a certain color. Oil paints are known for being durable and holding their color for a long time. They are slow to dry, which allows and artist to rework the paint to achieve the desired effect. 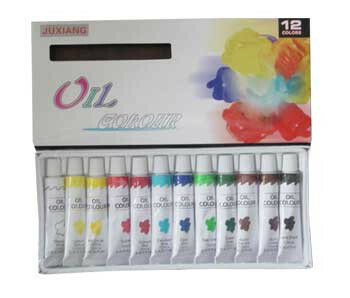 We have a line of exclusive, high quality oil colors at the lowest price - guaranteed! Wholesale arts and Frames is proud to introduce its new line of professional-quality watercolors. All colors are formulated using rich, premium pigments sourced from around the world, uniformly combined in balanced mediums to ensure fluid, controlled washes time after time. Excellent quality and the best price make Wholesale arts and Frames Watercolors the perfect choice. Wholesale arts and Frames is proud to reintroduce an expanded offering of its best-selling line of artist's brush sets. With many upgraded sets, they’re ideal for all types of art-making. Choose natural, synthetic, or combination sets that contain a variety of shapes and sizes in short- and long-handled styles. For great quality at the best price, choose Wholesale arts and frames! 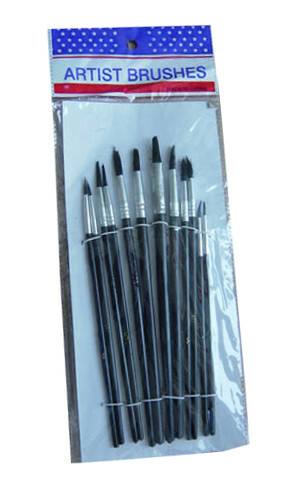 15pcs/Set, Hair: Bristle, Ferrule: Aluminium, Handle: Wooden.